Every woman has probably experienced a man they were dating suddenly get cold feet, and wondered if he were one of those emotionally unavailable men. “Let’s cool it for a while…” “Let’s not see each other so often.” When only a month ago, he was the one who was setting up every get-together. Then the change comes. He wants you when it is convenient for him, but refuses engagements you are looking forward to going to. He couldn’t wait to get his hands on you. Now he looks at other women the same way. He breaks dates to work longer hours or hang out with his friends. Being emotionally available is not just about sharing his emotions. Many men can talk enthusiastically about their feeling about their favorite sports figure or hated politician. It’s the process of sharing emotions about his everyday life, his dreams of the future, and his deepest fears and uncertainties. It’s his willingness to stay with his own (and your!) “negative” emotions like sadness, anger, or fear, instead of leaving the room, solving it before he mentions it to you, or trying to sort it out for you. What is the science behind emotionally unavailable men? Some thought leaders have endorsed the idea that gender is only a social construct. Supporters of this argument tell us that differences in behavior between husbands and their spouses are entirely social conventions. This argument conveniently ignores the stack of neuroscience which proves that male and female brains are fundamentally different. But they have a point. The problem of emotionally unavailable men does starts with a social construct. We now call this problem Masculine Gender Role Stress (MGRS). MGRS is the bind that men experience when they try to keep faith with the ways of being a “Man” that they learned growing up that doesn’t work out so well in real adult life (Moore & Stuart, 2004). The theory of MGRS describes a “boy code” (Pollack, 2006), which requires them to display problem-solving skills, strength, boldness, achieve a high peer-status, and curb the expression as well as the experience of vulnerability, affection, and need for others (Wexler, 2009). Emotionally unavailable men neither started out that way nor “decided” to withdraw. Emotionally unavailable men were shamed into discounting their vulnerabilities and emotional needs, ironically at a point in their human development when they needed to access their emotional needs most (Wexler, 2009). Or they may be clinically depressed. This “boy code” morphs over time into a “guy code.” Young men often have a deep struggle because as they mature they encounter situations with attractive others where they will confront feelings of sadness, need, or desire, and feel overwhelmed and unprepared, having only their problematic “guy code” to guide them. The problem of emotionally unavailable men starts with the feelings of intense pressure and feelings of failure that men report where their intimate relationships hit a rough patch. Moore and Stuart did a study in 2004 that took a close look at men who were particularly faithful to the “guy code.” They found that these men displayed aggressive and angry feelings when in conflict with their partners. Research by Levant et al. 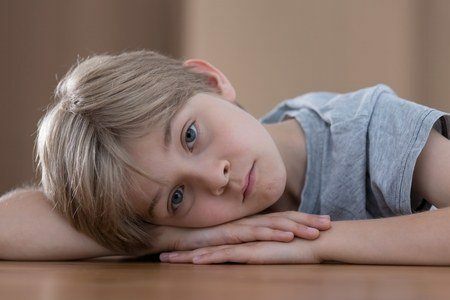 (2006) tells us that boys who embrace the “boy code” not only learn to faithfully restrict their emotional expression, their developing brains also eventually become unable to even reliably recognize the presence of emotions and needs. The problem for men is that when they marry, they enter into a set of relational expectations for which they may be poorly equipped. Modern marriage requires men to listen, express empathy, and discuss their feelings. Because their socialization fails to adequately prepare them for the stress of intimacy, they tend to withdraw and shut down, at precisely the moment where they need to lean in and step up. Gottman’s groundbreaking research in the early 90’s recognized that stonewalling and emotional withdrawal are highly toxic behaviors which can stress a marriage to the breaking point. Gottman discovered through close physiological measurements that the detached and indifferent demeanor of men in conflict with their spouses was not the whole story. The cognitive dissonance between what was expected of them, and their “guy code” manifested in physiological stress. And there were physiological changes too. Their blood pressure and heart rate soared much higher than their spouses and remained higher after the conflict much longer. The shutdown and withdrawal was not indifference, it was in fact, the opposite. It was a futile attempt to manage a raging inner turmoil that men often cannot even find the words to describe, even if they wanted to…which, of course, they don’t. They suppress the emotional experience, shut down and withdraw. Because they are overwhelmed…not because they don’t care. The “guy code” teaches men that their self-worth is found in their ability to solve problems and execute their family responsibilities flawlessly. The more that they buy into the “guy code”, the more they will resist even acknowledging the reality of perpetual problems. Their sense of agency and self-worth are deeply undermined by their spouse’s chronic unhappiness. Problems are supposed to be confronted, sorted out, and solved. If they linger, it’s proof that you just aren’t “Man” enough to handle them. Men in the throes of the “guy code” are often resistant to “therapy” or even the word “therapy.” Corporate America knows that when HR wants to encourage an awareness of the importance of managing workplace stress, you better call it “executive coaching,” not “stress reduction therapy” (McKelley & Rochlen, 2010). “All-purpose couples therapists” often miss assessing how deeply a husband is grounded in his family-of-origin “guy code,” and fail to establish a therapeutic bond. You keep these guys motivated to work in couples therapy by emphasizing pragmatic skill building that will help both spouses understand each other better and avoid unnecessary conflict. Emotionally Unavailable Men: Is it Normative Male Alexithymia? It’s useful to think of the “guy code” as resulting in what therapists call “normative male” alexithymia. It’s the legacy of the code. But these guys can be highly motivated, and often respond well to couples therapy. But they need the solid support and validation of a science-based couples therapist. We direct these men to notice…really notice their wives facial expressions, while concurrently noticing their own physiological responses. We help them to understand the meaning that their wives make of their withdrawal. We help them to understand how they miss each other. These men come to realize that their wives tend to feel more anxious, marginalized, and angry when they shut down (Johnson, 2004). And we help wives to notice that their husbands are not as indifferent as they appear to be, and that they actually feel overwhelmed, helpless, and numb in the face of their anger. The irony is that the vast majority of these emotionally unavailable men truly love and cherish their wives, and are extremely upset (perhaps even too upset) to witness their distress. They take it as a personal failing. They weren’t good enough to solve the problem. And, deep down, they often believe that if they were a “better man” then this problem would have gone away by now. In science-based couples therapy, they are encouraged to reflect on their attachment to the “guy code,” while their couples therapist expands on their desire to acquire the practical skills to help them connect more deeply with their partner. Does Your Marriage Deserve to Recover From the “Guy Code”?